Three to four times a year, the members of New Hope provide the evening meal and worship service at the Alpha Community Center in Sidney. 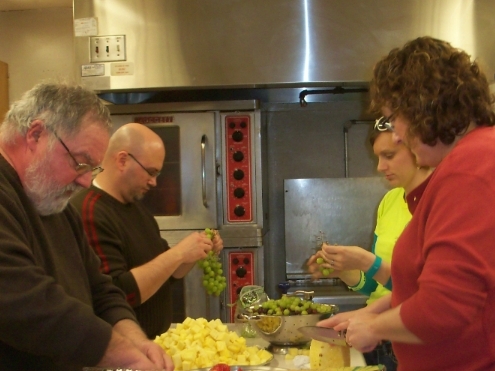 Volunteers prepare the meal on-site prior to the Tuesday evening worship; either Pastor Leighty or one of the certified lay speakers brings the message. The church, on request, also provides the family meal following funeral services.